Home / Blog / Dance Salsa in Poblado, Medellin! Why dance Salsa in Poblado? Every time you think of Medellin several good things come to mind. Great weather, great people, great food and even greater salsa dancing clubs! Cool, isn’t it? So, the only thing you probably need to reflect upon is which spot you are going to visit. 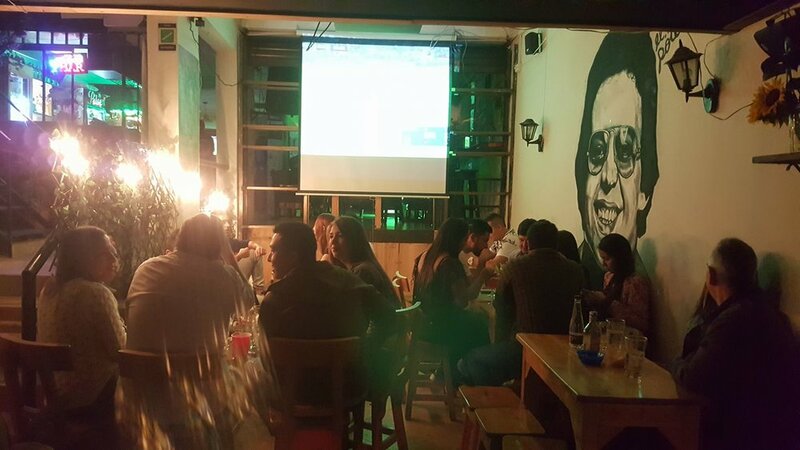 Well, Poblado is definitely one of our preferred areas for Medellin newbies and those coming back time and again. The reason is very simple: it is safe, clean and the offer for great Salsa bars in the area is huge. You can find places that will suit all tastes and going bar hopping here is really easy and fun! 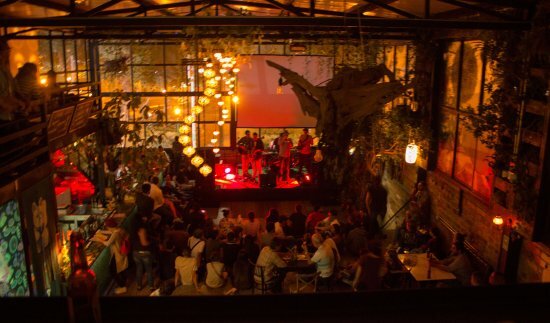 When you go for a Night Out in Poblado you’ll have plenty to choose from, begin with dinner at a nice restaurant, there’s plenty of veggie options available in this area, and then move on to one of the Salsa Dance clubs we have put together for you in this short list. Have fun! Enjoy the best of Cuban salsa. 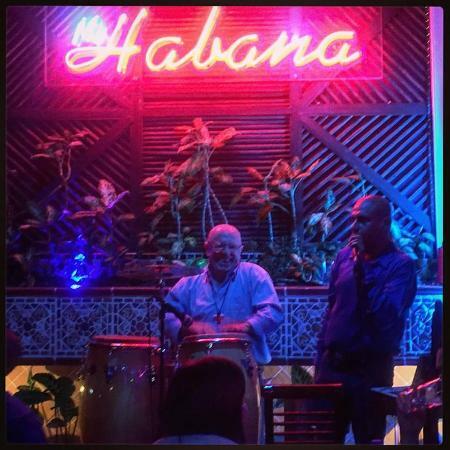 Mi Habana is a Terrace-Restaurant-Bar located in the Lleras Park. It was founded in 2006 by Cuban migrants who wanted to bring the best from their culture to their new home. This bar is all about Cuban-style salsa dance and music. As an added perk, they have an integrated restaurant that serves the most iconic Cuban dishes. To top it all up, Mi Habana pairs the food offer with the music on stage, yep that’s right, live performances are also a part of the offer in this bar! You’ll get to experience Cuba through the perfect integration of traditional food, music, and dance. When: Thursday – Friday – Saturday nights. Relax to the rhythm of Salsa at Mojito Bar. Mojito bar is the perfect definition of a chill salsa bar. It has a generous space that the owners decided to decorate with different themes. The set up is composed of a terrace, an indoor bar, and some outdoor tables, so you have plenty to choose from every time you visit. This bar is made to make you feel cozy, relaxed, at home. There’s a detail that we especially appreciate and it is that customers are allowed to write messages on the walls. In fact, this is a key piece of decor that makes Mojito feel like it is your own. This idea was replicated from the “Bodeguita Del Medio”, an emblematic traditional bar in La Habana, Cuba. 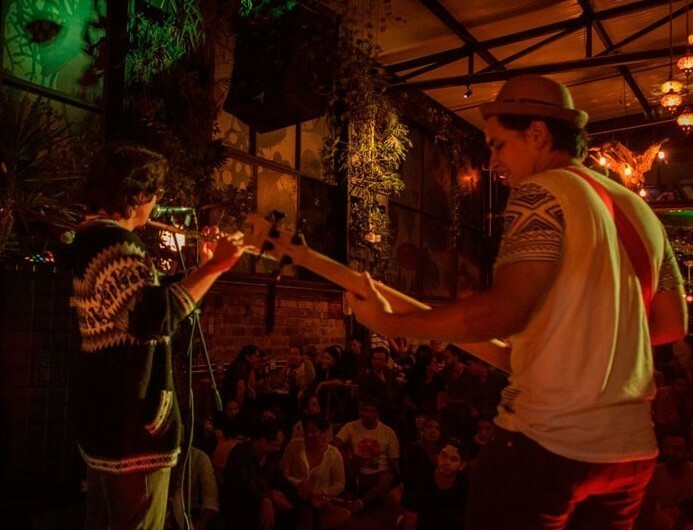 Sounds pretty good to Dance Salsa in Poblado, right? When: Wednesday to Sunday, from 5 PM up to midnight. Sometimes after even later depending on the day of the week. Dance all night long in the Lleras Park area. Another great place to dance salsa in Poblado is Buena Vista. It is located one block from Parque Lleras, right on the corner of Via Primavera. This is a great place for those of you who want to truly live the Latin American dance experience. The entrance is set as a small door that leads to a second story. This is a pleasant place to have a couple of drinks and enjoy the night with friends to the pace of Latin rhythms. But it doesn’t end there! If you head to the bar you’ll see a small inner patio at the back with a staircase to the terrace. And honestly, it is like you’ve entered a completely different place! The music changes dramatically from Salsa to Reggaeton, Hip-hop and some electronic music. Buena Vista is visited by locals and foreigners alike. We love to go to this place since it offers two different ambiances to enjoy very easily. Practice your killer Salsa Moves to the beats of traditional salsa and Son Cubano and then head to the terrace for some Reggaeton. The only downside to it is that it has no actual dance floor in either story. So, you will have to dance next to the tables. But it’s not as bad as it sounds, just imagine you’re at a typical Colombian family party and you’ll be alright! There is also a balcony area for those who fancy some fresh air, the view or watch the passers-by. When: This venue opens from Wednesday to Saturday up to 2 AM. 4. Enjoy Concerts, Dance, Eat, Live! Enjoy the best live music and salsa dance events. 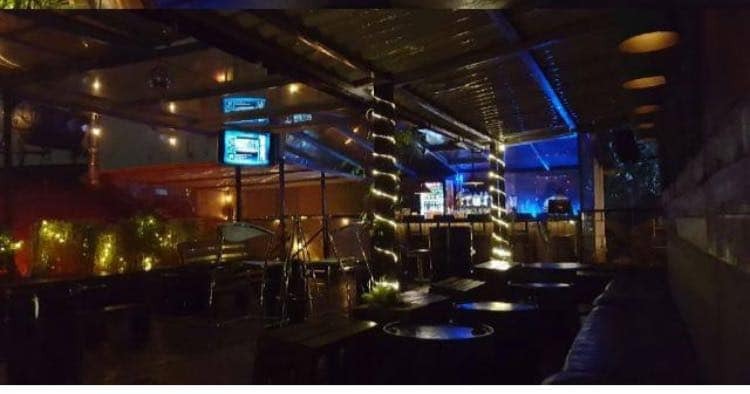 Victoria Regia is a newish venue that has conquered the hearts of Paisas and people who visit it. It is a bar “with all the toys” like we say here. You can enjoy live music and gourmet fast food. What we like most about this place (apart from the Salsa of course 😉 ) is its innovative approach to nightlife and culture. Victoria Regia is all about maintaining a good balance with the environment and they have integrated several practices to run their business as greenly as possible. That is to say, composting, collecting 10,000 liters of rainwater for sanitary systems, organic gardens, and solar panels. Therefore, this spot is a great example of eco-friendly entertainment. What a lovely place to Dance Salsa in Poblado! Besides lots of salsa dance, concerts and the like, Victoria Regia offers many alternative activities such as courses and workshops, just in case you’re looking for something different and on a more cultural vibe to do in town. Another perk: 4-legged friends are welcome as well! You’ll be able to find a lot of like-minded people and even people of your own country! And of course, there’s us (Some shameless self-promo won’t harm anyone, will it?) Most of our instructors operate in Poblado area so taking your Salsa Classes or going on Salsa Nights Out with us will be a breeze if you’re staying in Poblado. Also, we have plenty of studios to choose from in Poblado area (Manila, Provenza, Guayabal, Patio Bonito, etc.). So, what do you think about these suggestions? Let us know in the comments below. Moreover, don’t forget to click here if you fancy taking some Salsa lessons with us. Let’s have a great time together!